9 practical steps for hurricane preparation - Berkely Brokerage Corp.
Hurricanes can cause widespread devastation in just a few hours as we have seen with Harvey in Houston and with Irma barrelling toward Florida. Extreme winds, harsh rainfall, floods, storm surges and even tornadoes can work together to create one of the most destructive scenes a community may ever see. To keep safe during hurricanes and other natural disasters, it’s crucial to prepare well before the storm arrives. Here is a refresher on steps to take to keep your home or business safe from a hurricane this season. 1. Make an emergency kit. 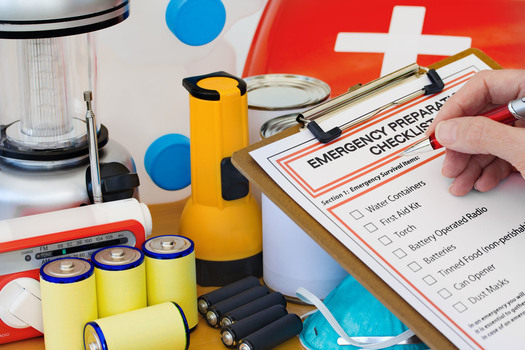 Emergency kits typically include essentials like water, non-perishable food, first-aid kits, medications, flashlights, batteries, a crank radio, important documents, and anything else you might need if you have to evacuate quickly. Once assembled, keep your emergency kit stocked in a secure location you can access quickly if you need to evacuate. 2. Create a communication plan. Sit down with your family to establish a buddy system, how you will get in touch with each other if you aren’t together when disaster strikes, and the safe area where you will meet if separated. If hurricanes are common in your area, your local emergency management system may already have evacuation routes and predetermined storm shelters in place. If so, locate these routes before a storm even begins. Listen to local weather services on TV, radio or social media to get the latest updates about storms in your area. Authorities will use these devices to let you know when it’s time to evacuate and take action. Get your family or employees together to put your plan into action. Simulate the effects of a storm as much as possible. If you notice any holes or areas that need fixing, now is the time to make tweaks — before the storm actually hits. Protecting your house from a hurricane. 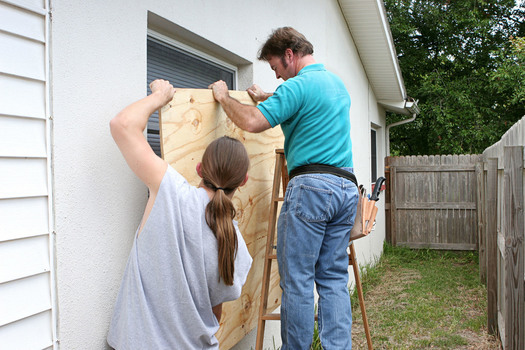 Your doors, windows, walls and roof are extremely vulnerable during hurricanes. Have a professional inspect your home to determine the proper way to reinforce these crucial areas before a storm hits. Removing items in your yard like furniture, umbrellas, debris, loose rain gutters, dead trees and more can decrease the risk of items getting picked up and thrown into your home during the storm. If you suspect a storm is moving in, secure or remove as many outdoor items as possible. It’s likely that you’ll experience flooding during the hurricane. To minimize costs and damages, have a professional inspect and waterproof your basement as much as possible. Be sure to elevate all critical utilities to decrease the risk of electrical shock and store any books or critical papers in plastic bins or on upper levels of the house. Most homeowners’ insurance plans don’t cover any risks associated with floods, making owners potentially liable for any repairs required after the hurricane. Flood insurance must be purchased well before the storm hits and covers the structure, but not the contents inside. Make sure to review the policy to determine what is specifically covered. Give Berkely Brokerage Corp. a call today to implement this important part of your plan. Following these steps will help mitigate some of the damage to your home and expedite recovery and restoration efforts.